To create a sustainable environment, societies need to rethink how they handle their everyday life style and what their surroundings look like. A big concept we can’t immediately change involves our architecture. Since the roofs of our large buildings don’t do much other than protect the occupant’s heads, some cities have requested the owners of these structures turn them into green roofs for plants to thrive and help improve the immediate environment. Richard Duchemin, the owner of an IGA supermarket in Saint-Laurent in Montreal, was informed by the city he would have to add a green roof to the 25,000 square-food building he owned and he embraced the idea while taking this a step further. He decided to turn it into a garden where his employees would tend to the vegetables and sell the produce to customers. Two employees tend to the produce grown in the garden by toiling the soil, planting and replanting the vegetables, and pulling them from the ground to bag to customers. To make tending the garden easier they created an irrigation system using the supermarket’s dehumidification system, water that would otherwise have gone to waste. 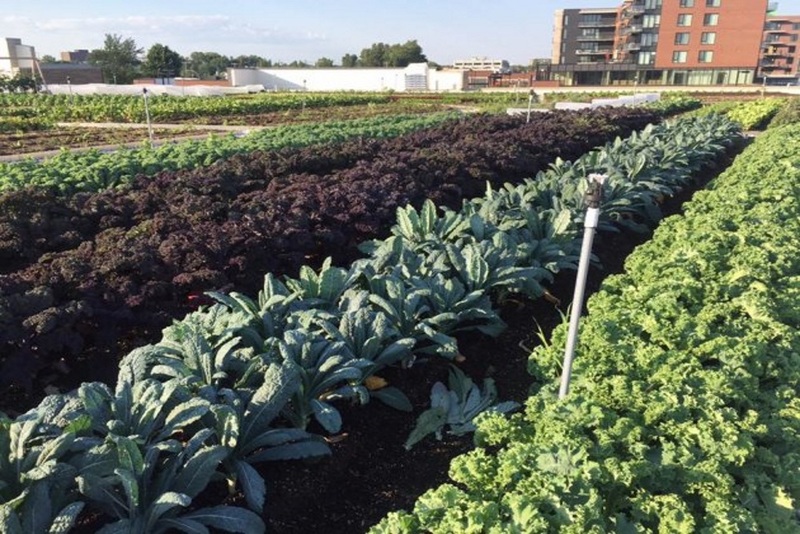 The green roof grows over 30 different kinds of vegetables, such as kale, tomatoes, eggplant, lettuce, radishes, basil, garlic, and much more. More traditional green roofs normally use a hydroponics system as the surfaces of roofs were not designed to handle soil. Because Duchemin felt it was a better option to use soil he sought out an agronomist who provided a detailed plan for this to work. By going this extra mile, the vegetables grown on the roof would get categorized as ‘organic’ by Ecocert Canada when he sold them to customers. By creating this thriving garden, a number of insects have found their way to the roof to enjoy the wide variety of plants. When this happens, most farmers tend to use pesticides to prevent the insects from harming the produce, however, Duchemin didn’t want to go down this path even if some pesticides were still allowed in organic gardens. With a little bit of research he found a number of wildflowers whose aroma help deter the more harmful bugs and prevent them from sticking around to feast on the vegetables. Though, Duchemin saw the more positive visitors found in the garden, the bees, as another opportunity. He installed eight beehives alongside the garden to give the pollinating insects a home. The hives provide the supermarket with 600 jars of fresh honey that get sold to customers. Though Duchemin deals with high costs to maintain the roof, these costs don’t transfer to customers. 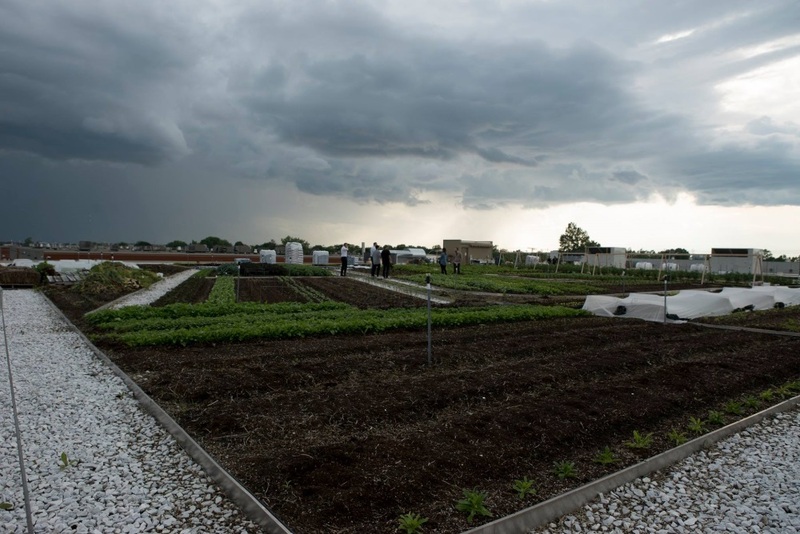 The vegetables from the roof get sold for the same amount as other organic produce they sell. Additionally, it helps keep energy costs down during the winter as the warm garden acts as an insulator. For all of Duchemin’s hard work the supermarket was labeled a LEED Gold certified building, a high standard for green building to receive. Any customer looking to support the IGA supermarket’s green roof can purchase vegetables with the label ‘fresh from the roof’ on them.